The Global Sustainable Investment Alliance (GSIA) released its 2018 sustainable investment review. 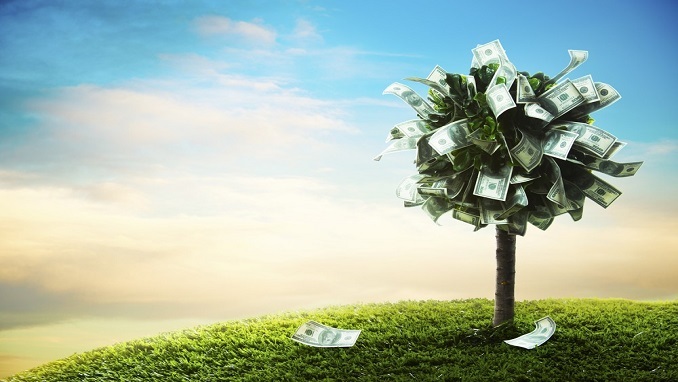 The report finds that sustainable investing assets in Europe, the US, Japan, Canada, and Australia and New Zealand were USD 30.7 trillion at the beginning of 2018, a 34 percent increase since 2016. Sustainable investment activities and strategies encompass negative or exclusionary screening, positive/best-in-class screening, norms-based screening, ESG integration, sustainability-themed investing, impact/community investing and corporate engagement and shareholder action. In 2018, the largest sustainable investment strategies are negative/exclusionary screening (USD 19.8 trillion), ESG integration (USD 17.5 trillion) and corporate/shareholder action (USD 9.8 trillion). Negative screening is the predominant strategy in Europe. ESG integration is the most common strategy in the US, Canada, and Australia and New Zealand in asset-weighted terms. In Japan, corporate engagement and shareholder action is the dominant strategy. Sustainable investing is increasingly accessible, with sustainable investing options available through an array of investment vehicles. The report finds that sustainable investing represents 63 percent of professionally managed assets in Australia and New Zealand, the highest share of any region in the world. In Australia, 78 percent of responsible investing assets are managed through ESG integration and corporate engagement. In Japan, responsible investing represents 18 percent of professionally managed assets, although this region is the fastest growing region of all markets. Between 2016 and 2018, sustainable investing assets in Japan quadrupled, growing from 3 to 18 percent. The report identifies Japanese Prime Minister’s administration’s encouragement of private sector investment as part of its economic growth strategy as a key factor in driving the expansion of sustainable investment in the country. Additional factors include growing awareness of sustainable investing in Japan and decisions by two major institutional asset owners (the Government Pension Investment Fund and the Pension Fund Association) to become signatories to the Principles for Responsible Investment (PRI). In Canada, responsible investments account for slightly more than 50 percent of professionally managed assets, up from 38 percent in 2016. The predominant investment strategy in Canada, in asset-weighted terms, is ESG integration, followed by corporate engagement. In Europe, the report finds: signs that while the market is maturing, sustainable investing assets grew at a “modest pace,” which, the report suggests, may partially be the result of debate over what counts as sustainable investing; and signs of consolidation in the industry. The report further finds that some form of ESG integration is essential for sustainable investors in Europe and that there is a trend towards more active management combined with strong growth in corporate engagement strategies. In the US, sustainable investing continues to expand, increasing by 38 percent between 2016 and 2018, and represents 26 percent of all investment assets under professional management. In 2018, 40 percent of responding managers in the US said that implementing one or more SDGs was a motivation in pursuing sustainable investing. Money managers reported that climate change was the “leading ESG issue” in asset-weighted terms. The report concludes that investment initiatives related to implementing the SDGs, combating climate change and responding to environmental challenges were evident throughout the five regions. The report further concludes that sustainable investing is “increasingly accessible,” with sustainable investing options available through a broadening array of investment vehicles and across asset classes. The 2018 report represents the fourth edition in the GSIA’s series on sustainable investment. The GSIA is an international collaboration of membership-based sustainable investment organizations that aims to deepen and expand the practice of sustainable investment through intentional international collaboration.